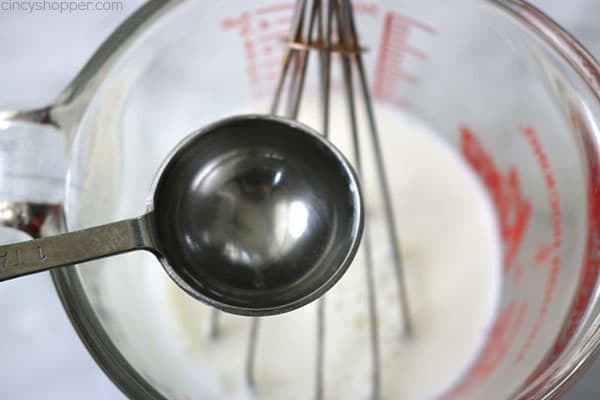 This super simple Homemade Buttermilk recipe is made with just two ingredients. Great for using in all your recipes that call for buttermilk. There are so many recipes that include buttermilk in the ingredient list. I know I am not the only one who does not keep buttermilk on hand for cooking. It is one of those ingredients that I just do not use often enough. I LOVE adding buttermilk to quite a few of our recipe such as dressings, dips, and especially fried chicken. It adds that extra tangy flavor that just makes a recipe so much better. So today, I realized I had not shared my super simple 2 ingredient buttermilk substitute with all of you. 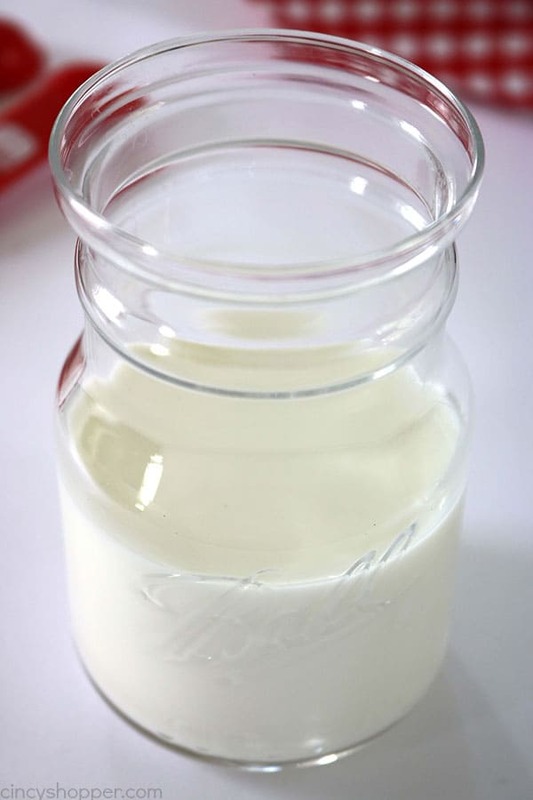 Since I have a few recipes that I plan to make this next week that call for buttermilk, I thought adding the Homemade Buttermilk recipe would be great for the blog. Grab yourself some milk and some distilled white vinegar and you can whip up this recipe in just 5 minutes. Save yourself from a grocery store trip that will cost you time and $$’s. 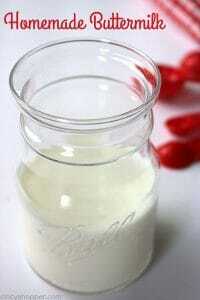 Add vinegar to cup of milk and stir to combine. Let sit for about 5 minutes until the milk begins to curdle. I do this all the time when I need to make buttermilk for a recipe. So easy and ingredients I always have on hand. 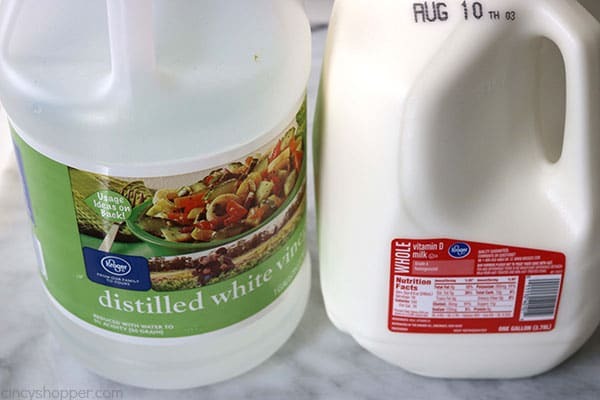 I tried to do this tonight using lowfat milk and cutting the recipe in half and it never curdled do you know why?I still used it and the recipe turned out fine,i was just curious why it didn’t thicken-thanks.